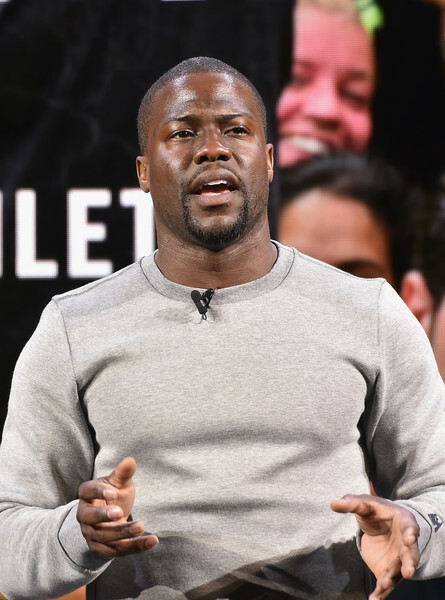 Actor/comedian Kevin Hart speaks during the Nike Innovation For Everybody Unveiling at Skylight at Moynihan Station on March 16, 2016 in New York City. *Kevin Hart and Bryan Cranston are in talks to star in the Weinstein Co.’s “The Intouchables,” a remake of the 2011 Olivier Nakache/Eric Toledano French dramedy, reports Variety. The movie follows an aristocrat who, after becoming a paraplegic following a paragliding accident, hires a young man from the projects to be his caregiver. Simon Curtis is attached to direct the remake, sources tell Variety. The Weinstein Co. quickly acquired the remake rights and set Paul Feig to pen the script. The film is high priority for the studio, with shooting expected to start this summer. Hart released “Ride Along 2,” the sequel to his hit 2014 comedy with Ice Cube, earlier this year. He can be seen next in “Central Intelligence” with Dwayne Johnson, which hits theaters on June 17.
bryan cranstonkevin hartthe intouchablesthe weinstein co.